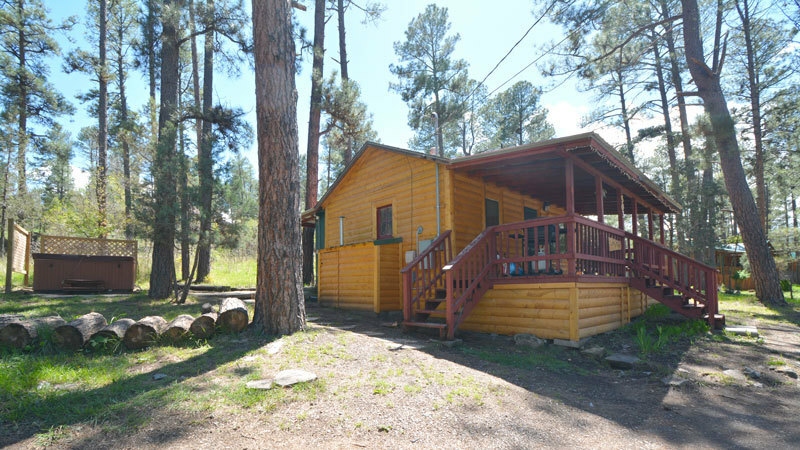 DESCRIPTION: The Lofty Pine cabin is a real cozy Ruidoso cabin with lots of beautiful wood appointments and all the comfort you would ever want. 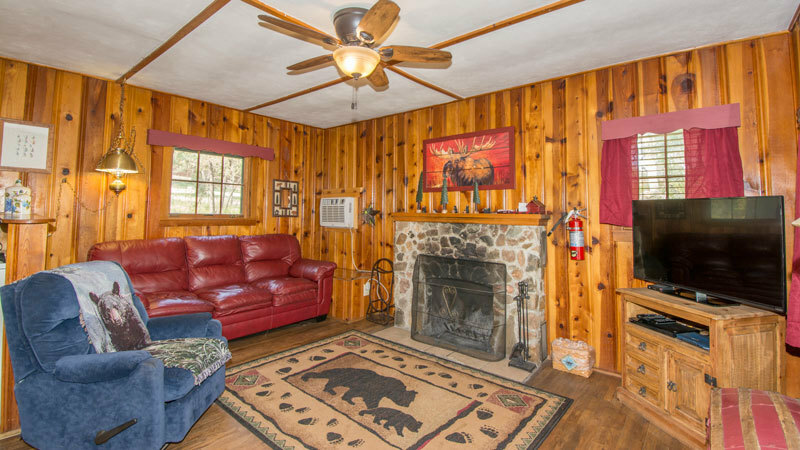 From the log siding to the rock fireplace this cabin is welcoming. The large deck offers privacy and comfortable seating and a gas grill for the chef in the group. Sit outside and enjoy the cool mornings with your coffee (which we provide) and watch for local wildlife to wander by. If you’re lucky you’ll see Elk or the occasional Black Bear. Be sure to bring some apples to feed the deer that will certainly stop and say hello. 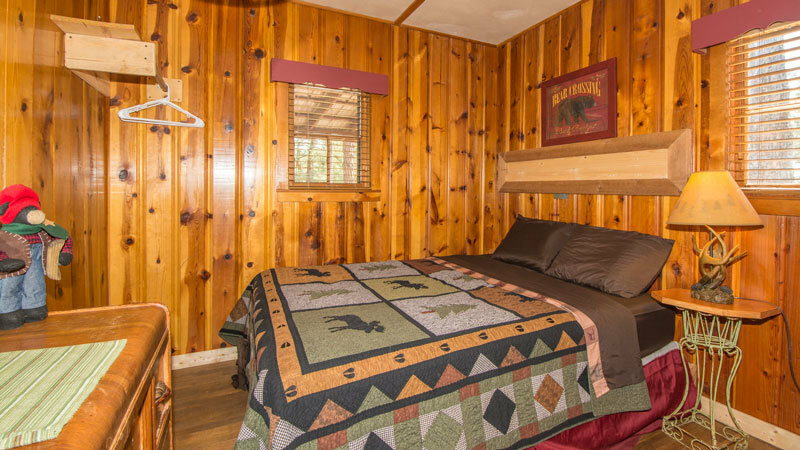 Watch for the hummingbirds that frequent this cabin along with other feathered species and keep your camera ready. 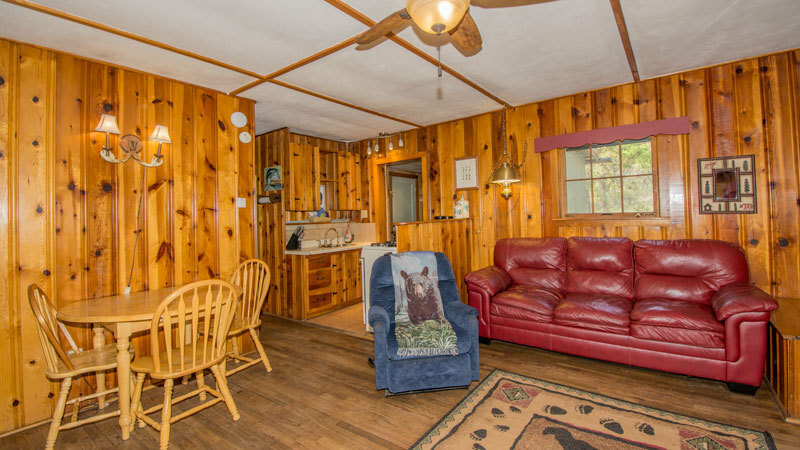 The living area has very comfy furnishings as well as a flat screen, DVD player and high speed internet. 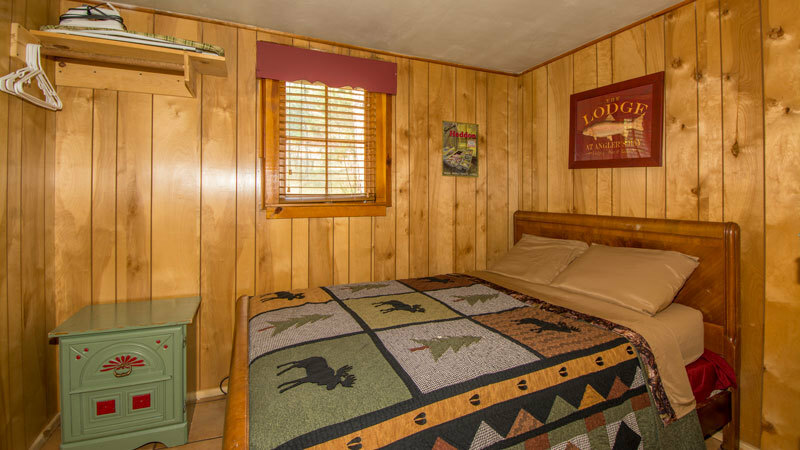 The bedrooms are comfy and cozy and the couch pulls out for the kids or friends. Soak in the private open air hot tub or gather in front of the fireplace in the evenings and compare notes from the day. 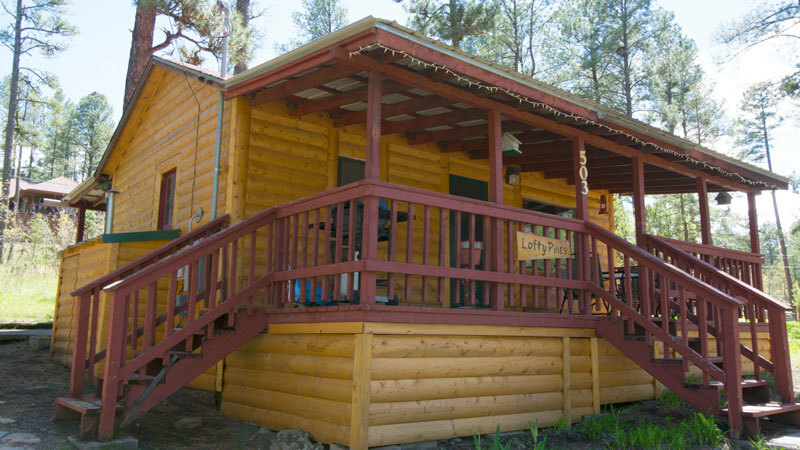 Lofty Pine is close to all of Ruidoso’s many attractions including shopping, dining, gambling, horse racing, events, hiking and so much more. 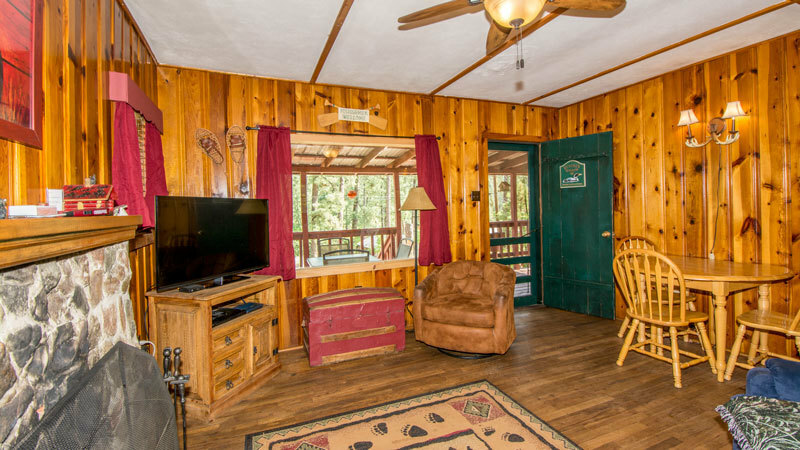 Also, be sure to check out our in-cabin directory for all the information you need, including the best restaurants in our “Just for you” selections, it’s where the locals eat.